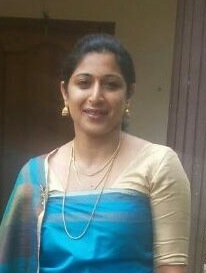 Chembanda Reshma Bheemaiah is a real ambassador for Coorg. She runs a home stay, where she invariably serves Kodagu food to her guests. For breakfast, it is paputtu, thalayaputtu and otti. For lunch and dinner, it’s noolputtu, belath neer, kadambutu and non-vegetarian dishes prepared in Kodagu style. 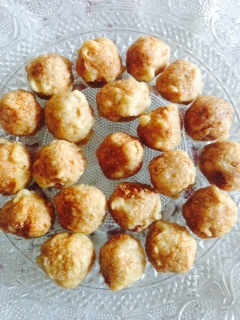 Reshma shares her recipe for a popular sweet- Chikklundé. Chikklundé is one of the unique Kodagu sweets which is enjoyed by kids and elders alike. It is normally prepared during festive occasions, and also during the wedding season. Chikklundé has pride of place in the goodie hamper which a bride carries with her when she returns from her mother’s house. The main ingredient for the filling is puffed rice (nell pori). To make this puffed rice, paddy (unhusked rice) is spread on the floor for a day to gather some moisture, then roasted in a clay pot over a wood fire. The heat drives the moisture in the grain out, causing the rice to puff up, much like popcorn. Sun dry the puffed rice and crush or grind coarsely. Grind the grated coconut, sesame seeds and roasted gram coarsely, adding a pinch of salt. Melt the jaggery, strain it to remove dirt particles and reduce to make a thick syrup. Mix the ground puffed rice and the rest of the dry ingredients together. Add the jaggery syrup which will bind the ingredients, and mix well. Using your hands, and pressing firmly, shape the mixture into small balls. Meanwhile prepare a batter with the maida, turmeric powder, and as much water as needed to make bring it to a coating consistency. Dip the dumplings in the batter and deep fry till they turn golden brown.